The Fatherheart Ministries, ‘Gathering of the Eagles’ (GOTE) held in Cyprus in April this year was a significant time as it heralded in the new season we are now in. Ninety members of the Fatherheart Ministries family gathered from 15 countries and 5 continents for a week of revelation, impartation connection and transition. This remarkable week will be always remembered for the open, honest and transparent sharing of the testing year we have gone through together and how the Father led us to the place that we now stand. Thank you to Ray Risbridger for many hundreds of hours of work in organising GOTE 2016. Thank you to Les Hokyo for bringing such clarity through this transition and for walking with James, Denise and I with such humility and vision. You have a unique, rare and valuable gift in leadership Les. Fatherheart Ministries was officially formed in Pasadena California in 1997 with James & Denise Jordan and Jack & Dorothy Winter. Though the foundations of this ministry first found its origins some twenty years before at Orama on Great Barrier Island, New Zealand. The mandate that has been given to Fatherheart Ministries is: To see this revelation of the Fathers love go to every denomination, to every stream of Christianity, to every country, every culture and finally face to face with every person. As you will all know by now James and Denise Jordan have retired from their position of leading and directing Fatherheart Ministries. In Cyprus we gave a place to thank and to honour James and Denise for what they carry and for the impact and effect they have had on our lives. Many shared how their lives and the lives of those around them have changed so profoundly as the revelation of the Fathers love has poured into their hearts and transformed them from within. 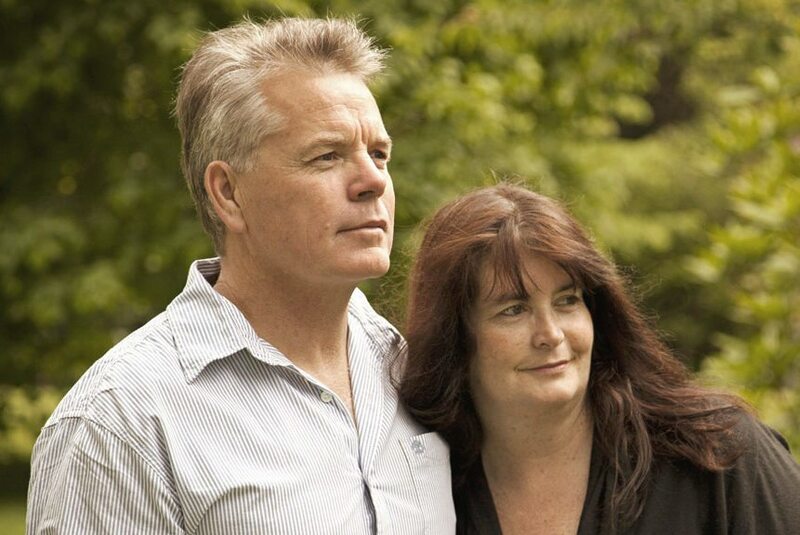 James and Denise we continue to honour you and are deeply grateful for your influence on our lives. In this time of growth, we saw it important that we reach back to the apostolic foundation the Father laid in all our lives through the ministry of Jack and Dorothy Winter. This has brought us a clearer understanding of who we are, as a people and as a ministry. Jack brought the core revelation of the healing of the heart through a revelation of the Fathers love. This foundational revelation flows powerfully through our ministry and undergirds the core revelation of Sonship that James and Denise have brought. As we move into the future we will align ourselves more deeply upon the foundation that has been laid by these apostles and prophets (Eph 2:20). The year leading up to GOTE 2016 was a true crucible of testing for many of us. For me the Lord used this time of testing to reveal to my own heart the hidden dysfunction and brokenness that was still at work within me. As hard as this was, I didn’t want to miss the opportunity to grow, to mature and to live beyond the distortions of sin that until that time of testing had remained hidden from me. Without the support of my wife Nikki, the wise and compassionate insight of my supervising counsel, and good friends like Frank Naea, I would not have made it through the intense challenges I have experienced this last year. Thank you also to Trevor Galpin for your commitment and support to me personally during the transition and into this new season. I had no idea of the leadership role that the Father was also preparing my life for in the very ministry that had so transformed my life. As Executive Director I had facilitated James’ & Denise’s heart and vision for FHM for a period of 5 years. They had witnessed the profound change this journey had wrought in my heart, which amongst other things, lead them to ask me to now lead and direct Fatherheart Ministries with their full freedom and blessing, in the new role of International Director. During GOTE 2016 James and Denise expressed their support, belief and trust in me and formally commissioned me into the role. There was a unity of hearts in the many gathered there, who also voiced their support, encouragement, affection and commitment during the ceremony. We as a leadership saw that the leadership needed to be clearly delegated to the International Director role. However there was a real witness amongst us that the mantle and anointing of ministry was not to be released to an individual but to be released to the whole body together. To be released to all of us in relationship with one another who make up the Fatherheart Ministries family. On our last night together of GOTE 2016, James preached from Luke 4:18-19 ‘There is an Anointing on this Ministry’. Both James and Denise then laid hands on everyone present. There was a powerful time of impartation and ministry for the release of the mantle of anointing for the new season we are now in together. Since that night, many have reported an increase of anointing and authority as they have ministered around the world. James and Denise are retiring from ministry as we know it, but they are not retiring from Fatherheart Ministries. They will remain close by, living in Taupo as ‘prophets to the ministry’. They will continue speak into the ministry imparting their hearts, their perspective and the revelation they receive. After their sabbatical James will also continue to pass on his wealth of wisdom and experience in preaching and ministry through ‘The School of Prophets’ and they will be an integral part of the one month ‘Becoming A People Gathering’. Both of these events will continue run in Taupo, New Zealand. They will travel internationally but this will be limited. A Schools, B Schools, the Inheriting the Nations School (INS), Becoming A People Gathering and the School of Prophets will all be continuing. I am presently working with James, Denise,Trevor Galpin & Stephen Hill to establish the speakers, the core topics and the schedule for B Schools world wide. Yet this vertical expression often comes without any context, background or framework from which to live. As a result we have struggled with questions in our hearts. Now that I have received this revelation – How should we then live? How does this heavenly revelation live out in the horizontal axis on the earth and in our daily lives. Together in this new season we will be far more intentional about exploring these legitimate questions. The truest test of of the outworking of this revelation is measured in the deepening of our relationships. Jesus said “By this all will know that you are my disciples, if you have love for one another”. In this revelation of love we now have the substance that finally makes Jesus words a realistic possibility in our lives together. In practical ways we now have the opportunity to come together in a whole new level of unity for this season. To truly work together through our relational and personal struggles. To truly love one another with the love we have received. To be free to speak and communicate with more honesty, with more transparency and with more love for each other. This will require a deeper level of maturity for us all. However it will also produce a deeper sense of unity. Here the Lord will bestow even more of His blessing and release even more of His mantle of anointing. At GOTE 2016, Pastor Steve Myatt’s video presentation brought such hope and encouragement to us all as he illustrated how this revelation has transformed their church community when love was received in the hearts of the pastoral team at Vista Assembly, California. Steve’s video is a real case in point of what the Father is now showing us. During this season the Father is giving us eyes to see how the ministry gifts of pastor, evangelist, teacher, and apostle find expression in this prophetic revelation of the Fathers love. It is now time for us to bless and to celebrate what He reveals to us there. We are also seeing this revelation flowing into all aspects of family life, education, the arts & entertainment, media, to business, government and in increasing ways in the church. It is an exciting time but we will not get carried away in the excitement. In all these things we will need to wait for the Father’s wisdom and leading. We will continue in the values of FHM: To do What the Father is doing, with the people Father leads us to, in the Father’s time and in the Father’s way. “May you find the place the Father has specifically prepared for you in this season. with the Father’s guidance in your life. May we all grow deeper together in more genuine and healthier relationships.